I was born on 7 November 1995, into a believers’ family in India. From my childhood, I had the privilege to know about Jesus through the Sunday school. However, I never realized the importance of knowing the Lord personally. 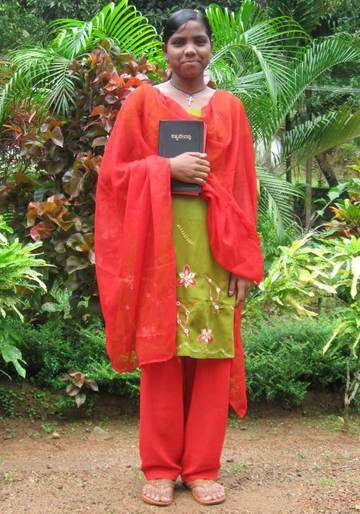 Growing up, I became good in my studies and I had a good testimony in the church as well as in the society. My parents were happy about me and shared more things from the scripture. Their advice and admonitions kept me away from the worldly things. I was preparing for my examination and I was unable to concentrate in studies due to sickness. That time, my uncle came to my home and prayed for me. Immediately, I was completely healed. That incident brought me closer to Jesus and I desired to know more about Him. As I began to spend more time in meditating on God’s Word, it convicted me of my sinful state. As a result, I confessed my sins and received Jesus as my personal Saviour. From then on, I started to read the Bible and pray everyday. The Lord began to work in my heart to reach the unreached. 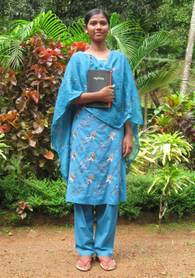 Sensing God’s calling in my life, I surrendered my life to Christ and I enrolled in a Gospel for Asia Bible School to equip myself for the ministry.